Have you ever thought of satisfying the taste buds of the sweet buyers? Then you need to the machine from the sweet making machine supplier of Kolkata. The machine is very easy to handle and you can prepare a lot of delicious sweets for the buyers. The apparatus can prepare large capacity of sweets and one can guarantee that these sweets will seriously taste good. There are few specifications, which you need to know about the machine. If you planning to make a large amount of sweet, then this machine will permit you to handle milk and water of nearly approximately 200 liters of liquid. Not for any particular sweet, this machine can make multiple types of sweets. While the machine comes in single or three phase, the design type of the machine is standard in nature. You will get a lot of branded and ordinary machine for making sweets from the suppliers. The machine is made of fully stainless steel. In the bowl, the machine continuously shakes, twist and bake material in all directions, with two agitators. The machine will bake automatically. To mix the liquids and materials, you can often use a mixing machine. The model which is available in the commercial sweet corner has S.S 304/ anodized parts from top to bottom. With the flow control, the machine has great inbuilt capacity along with a gas burner. For the removal of the material, the machine can be tilted. While tilting, this machine provides an easy locking mechanism. Due to extra cover on the Kadai, there is a huge saving on the heat and gas. There is no need for greasing or lubrication for the lifetime. For control of the rotation speed, there is inbuilt AC drive. For easy movement, you will need to turn the castor which is being mounted on the machine. For making various sweetmeats, the equipment has a great commercial name. Without much effort, you can prepare a variety of sweets. For producing the sweets, you can use this machine for the heating, cooling, mixing and shaping the ingredient In the manual mixing process, this equipment can mix the ingredients in an even way. Rather than the manual mixing process is much easy to handle. 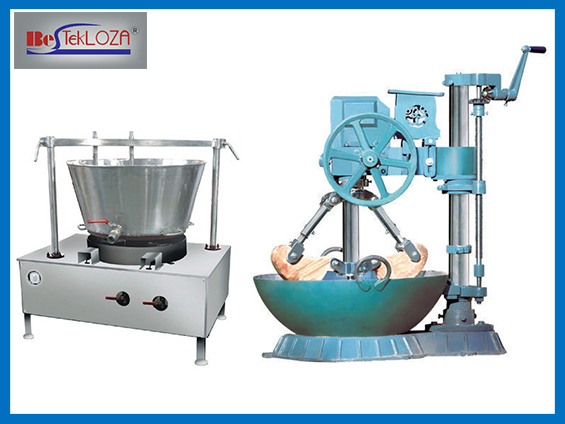 The sweet making machine is one of the key equipment, which has a high demand in modern day sweet shop. If you are looking for reliable suppliers, then you can surely bank of “Bestekloza” for buying the machine.